SKU: n/a. Category: Collector’s item. 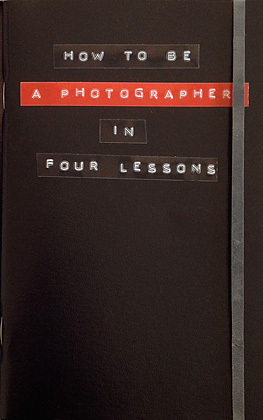 The deluxe version of How to be a photographer in four lessons, first edition, with leatherette cover and dymo title, signed by Thomas Vanden Driessche. Thomas Vanden Driessche was born in Leuven in 1979 and works in Brussels. Freelance photographer, member of the group Out of Focus, he worked with Belgian and international magazines and newspapers (Le Monde, Monocle, Das Magazin, The Guardian, Le Nouvel Observateur, Le Vif, L’Express, etc.). 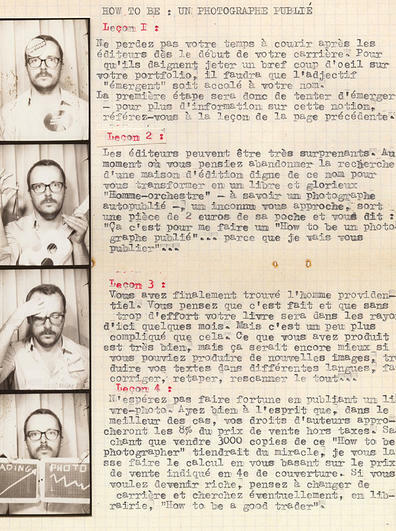 His work has been exhibited in recent years at the Images Singulières Festival in Sète, the Boutographies in Montpellier, the Transphotographiques in Lille, and the FOTO 8 Summer Show in London.